You are here: Home / SAMHC News / Wanted: South Australian dads-to-be! As you know, the first project arising from the SA Mental Health Strategic Plan 2017–2022 is SMS4dadsSA, a free service to connect and support new dads. 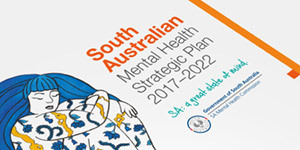 The SA Mental Health Commission is calling for expectant dads across country and metropolitan South Australia to sign up for the pilot of our innovative new SMS4dadsSA project.